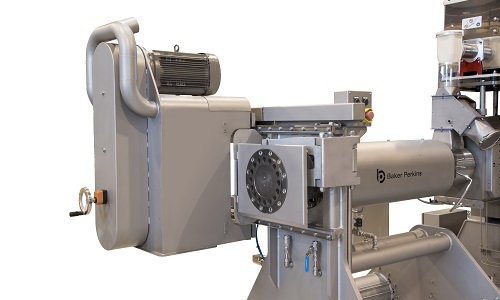 The flexibility of Baker Perkins’ SBX Master™ extruders has been improved by increasing power, torque and speed. This, along with a range of barrel lengths, increases the variety of end products that can be made. Improved cooling also contributes to broadening the range of products that can be made, and also improves quality and consistency. The new design features water distribution channels located closer to the internal surface of the barrel to improve both responsiveness and the rate of heat transfer. Flow rate is increased, and cooling can be controlled and adjusted to individual product profile. The SBX Master™ is now a totally modular machine, so future extension of the barrel and all the associated services to expand or change a product portfolio is speedy and uncomplicated. Barrel diameters between 50mm and 125mm give an output range from 500 to 2,300kg/hr. The arrangements for mounting the die and cutter have been simplified to make changeover, cleaning and maintenance faster and safer. The die is supported on a hinged arm that enables it to be moved quickly and safely, especially when hot, while the cutter slides in and out of position on rails. This is a pneumatic, pushbutton-operated system that automatically puts the cutter directly in front of the die as soon as the extruder is ready, leaving only fine adjustment to the operator. This minimises time and waste generated during set-up, changeover or if a blade change is required during a run. 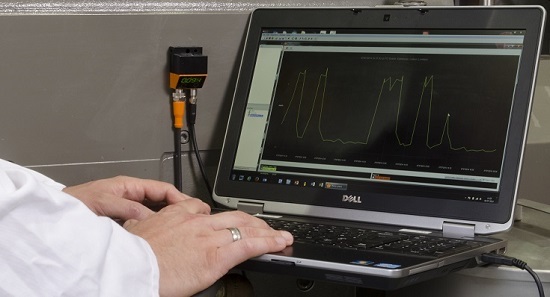 A gearbox condition monitoring system that reduces unexpected downtime is available on all new SBX extruders and can also be fitted to existing machines. This simple system continuously monitors the frequency and amplitude of vibrations within the gearbox, allowing the ongoing condition of vital components to be measured. The principal benefit is elimination of unforeseen loss of production due to gearbox repair or replacement: maintenance scheduling is significantly enhanced. 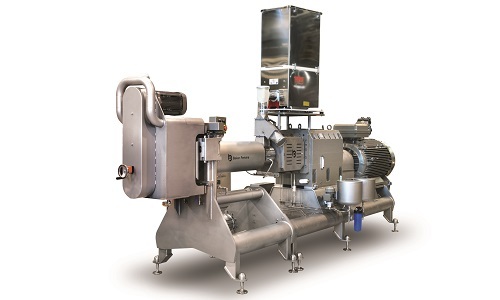 Twin-screw extrusion brings significant benefits to the food industry. Extrusion is hygienic and energy efficient: all the action is in the short barrel – ingredients in, product out seconds later. If it is possible to make a product with an extruder, it is almost certainly the cheapest, most efficient and most compact method of making it. Conventional processing typically involves a great deal more equipment, time and cost. Twin-screw extrusion technology is at the heart of versatile systems producing a wide range. A standard system is a flexible way to enter a market at a low capital cost; extrusion systems can be expanded as a business grows and more complex products, or even a completely different product range, are required.